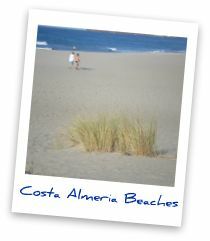 Spain beaches in Almeria - 10 best Spanish beaches along Costa Almeria ! On this page I will cover my favourite subject. It's all about Spain beaches and sun. After all, Almeria wouldn't be the same without it's fantastic dunes, sheltered coves, unspoilt, virgin beaches and impressive cliffs. Almeria's Eastern Region, also known as the 'Levante' 'streches from the border of Murcia Province to the border of the Natural Park of Cabo de Gata-Nijar. 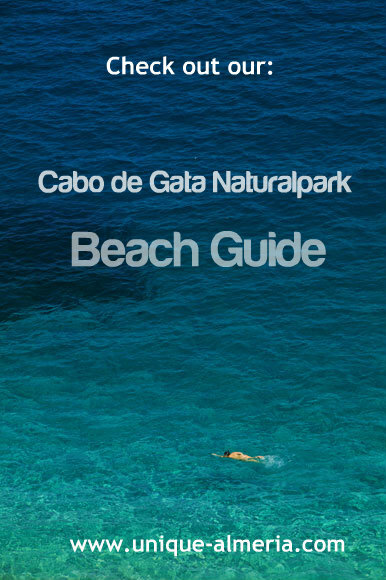 And.... it is here, next to 'Carboneras 'village, right at the border to Cabo de Gata Natural Park, where you will find a beach, that was elected by Spaniards as the 'best beach' from all Spain beaches: The ''Playa de los Muertos'' . Huh! You'll be surprised to find a piece of 'Carribean sea' here.. Broken volcanic cliffs and hills of a rough and wild beauty, unspoiled and hidden coves, hamlets jealously guarding their traditions, a rich culture and delicious cuisine, 3000 hours of sunshine per year. 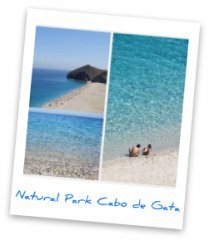 All this and much more is what makes Cabo de Gata - Nijar a destination with a unique personality, and very different from any other destination. It is a place where time keeps intact one of the most environmentally friendly natural treasures in all Western Mediterranean Europe and in all Spain beaches. The privileged geographical location makes this area an ideal destination for holidays, weekends, short breaks and for beach lovers. 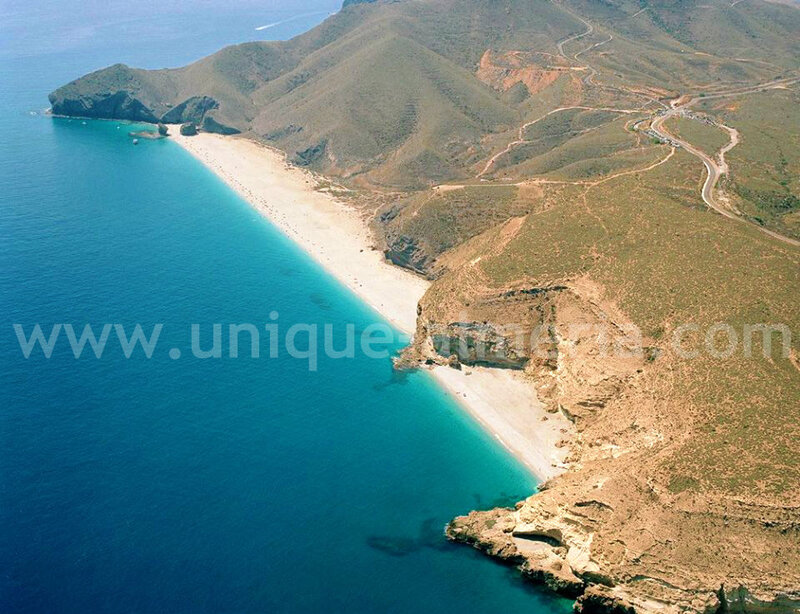 This area stretches from the beaches of Almeria City to the Natural Park of Cabo de Gata. It is the most virgin area that has no less than seven EU Blue Flag Spain beaches. From the Lighthouse of Cabo de Gata, you will have a view of the Arrecife de Las Sirenas and you will get a hint of what you may expect if you decide to visit the Natural Park of Cabo de Gata. The Park's 38.000 hectares of land and 12.000 hectares of seafront is one of south-eastern Spain's most valuable protected spaces and is home to different species of wildlife. It is a paradise for scuba-diving lovers, who will be surprised by the richness of the impressive sea-beds. It is also the habitat of a wide range of fauna like amphibians, reptiles, birds and mammals. You will find the most touristic Spain beaches in this part of the region, also called Almeria's 'Poniente', such as Roquetas de Mar beaches. 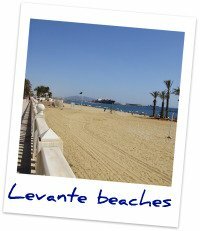 These have all kinds of equipments and services you would expect from a Spain beach holiday resort and of course they have very good access too. Eleven of them even are EU Blue Flag beaches. This area is unique in terms of quality tourism in the province. Golf, beaches, rural tourism and nature reserves are the attractions of an area that has managed to combine economic development with responsible tourism. Here, you may enjoy the coast, and at the same time the Sierra de Gádor mountain range, with its respective beach resorts or typical ‘Alpujarra’ cottages. You will find that the Moorish heritage has survived here for many centuries. This area also boasts many Nature Reserves as well as plenty of birds and animals that find their ecosystem here. The most important natural spaces are The Adra Lagoons Natural Reserve, The Posidonia Coral Reef in Roquetas de Mar, declared a Natural Monument and the Punta Entinas-Sabinar Natural Area. 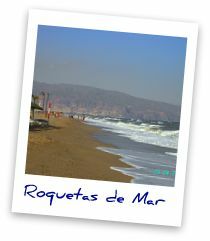 Do you have a great story, tip or review about Almeria beaches? Share it!